NASHVILLE, Tenn. (October 28, 2015) – After immediately selling out all six of his 2016 “Strait to Vegas” shows, George Strait is already looking to extend his exclusive concert series at the Las Vegas Arena into 2017, announcing today the addition of two shows slated for Friday, Feb. 17, 2017 and Saturday, Feb. 18, 2017. Tickets for the new dates will go on sale to the public Friday, Nov. 6 at 10:00 a.m. PT, with pre-sales beginning this Friday, Oct. 30 at 10:00 a.m. PT and ending Thursday, Nov. 5 at 10:00 p.m. PT while supplies last. Cold Beer Conversation is available now at all digital retailers and Walmart. With 60 No. 1 singles and nearly 70 million records sold, Strait is the most-nominated artist in CMA Awards history and was the first country music artist honored with Billboard’s “Legend Of Live” Award. His last show, which took place at AT&T Stadium on June 7, 2014, shattered the North American attendance record for an indoor concert with 104,793 ticket-holders. 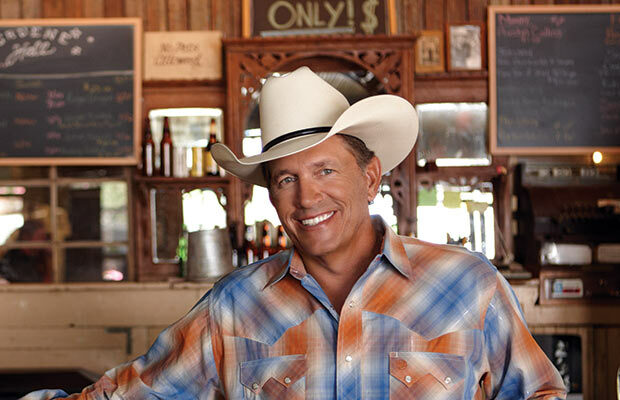 For information on “Strait to Vegas” and more, visit www.georgestrait.com and www.straittovegas.com.